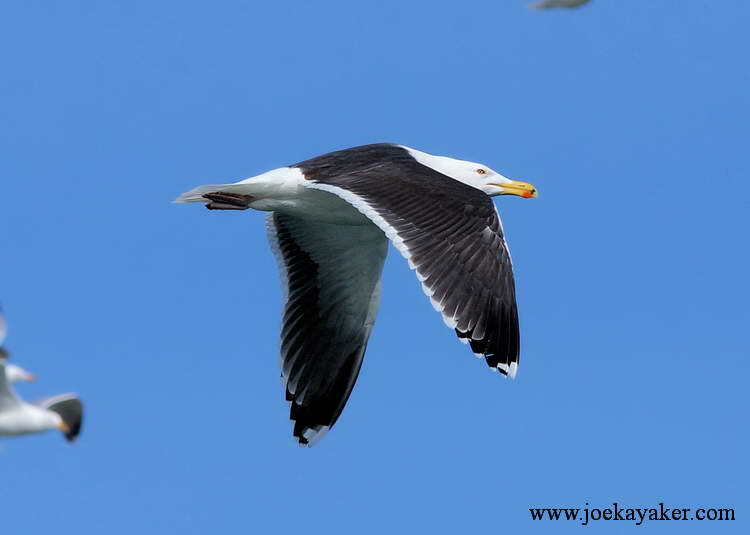 This is the Greater Black-backed Gull, the biggest and baddest gull in the world. 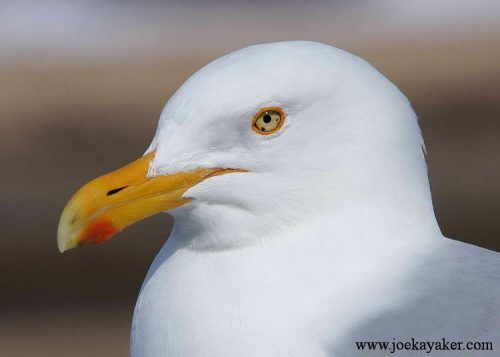 This is the gull that other gulls wish they could grow up to be. 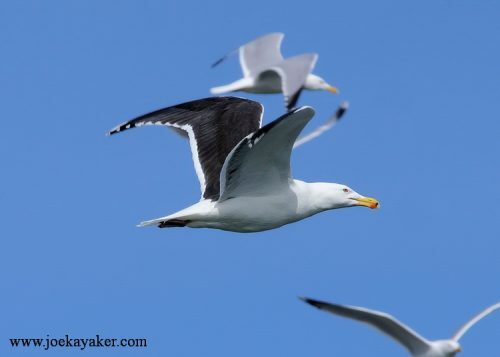 Maybe because some of those other, smaller, gulls sometimes end up being eaten by these tyrants. 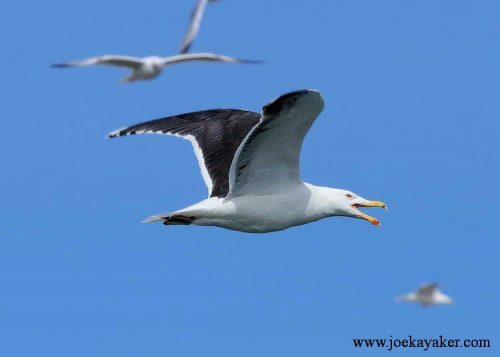 Yes, the Greater Black-backed Gull is the bully on the beach. 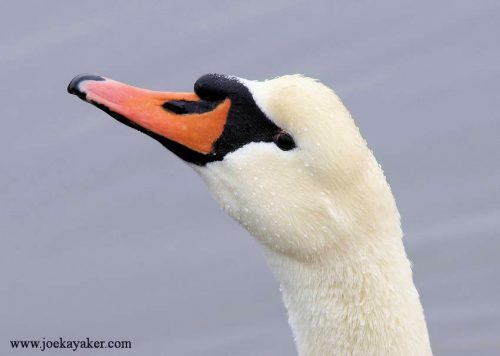 When he’s not kicking sand on some poor scrawny peace and sand loving bird, he’s eating their chicks or their eggs. These gulls have even been attack and devour full grown ducks. Nobody can count themselves safe around these guys. JK. So. 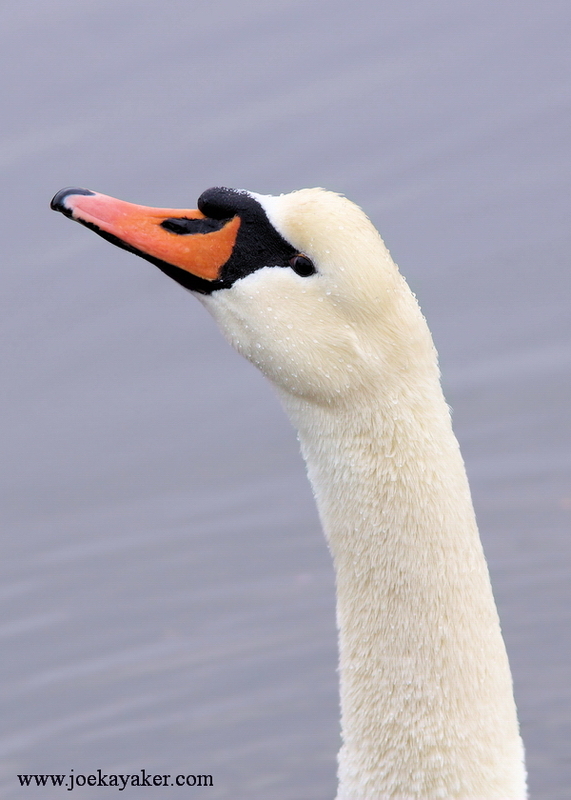 I had hiked along the upper fields of Avalon one morning and I saw a bird. As in singular. As in one. It was small and dark and deep in the brush. It may have been a Junco. A lonely Junco at that. Needing something to calm myself from all that excitement, I drove to Stony Brook Harbor where I saw gulls and more gulls. And then, even more gulls. There were more gulls than you could shake a stick at, even a really big one. So I sat and I waited. I read my Kindle. I played solitaire. I glanced up from time to time and, yep, the gulls were still there. Another half an hour goes by and still more gulls. I was feeling quite gullible when I noticed a change. A giddy change, a downright loony change. There was a Loon. 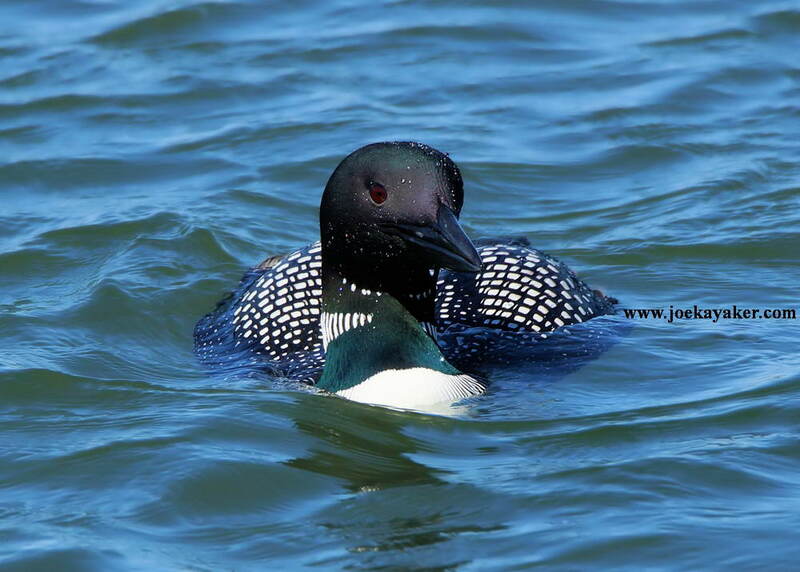 (Cue Katherine Hepburn: “The Loons, the Loons!”). There was Loon. 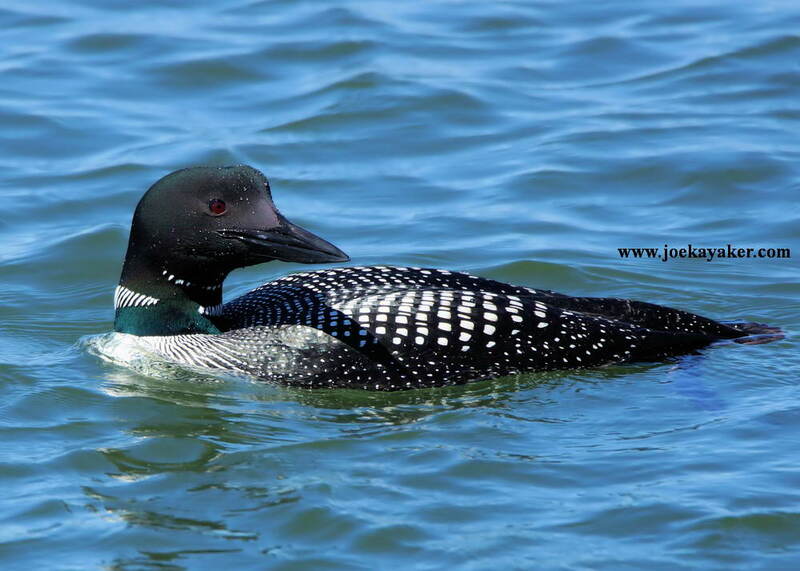 I know I already said that but after all those gulls, there was a Loon. 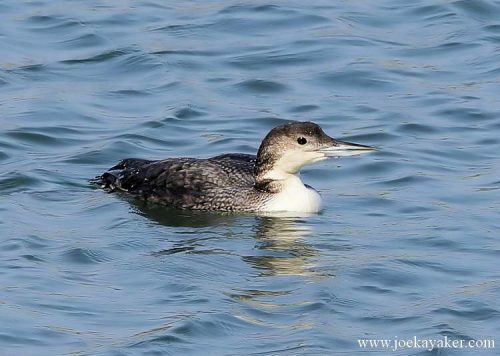 A Loon! I took some pics as it slowly drifted off. Then it was just me and the gulls again. 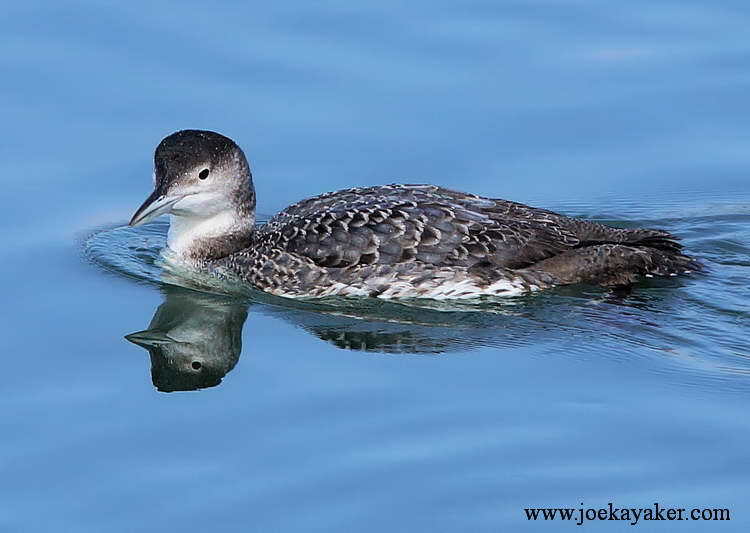 Eventually, another Loon appeared. Maybe it was the same one, I don’t know. I started up with the picture taking again. This time, I noticed a bunch more. Most of them were near where West Meadow Creek empties into the harbor. There were at least 14 of them. There may have been more but they were fairly spread out and with one or another diving and bobbing back up, it’s hard to be certain. Most of them were too far off for me to get any good pics, but I did get lucky with a few. It seems that crabs were the lunch special for the day and, to my surprise, I think they were swallowed whole. 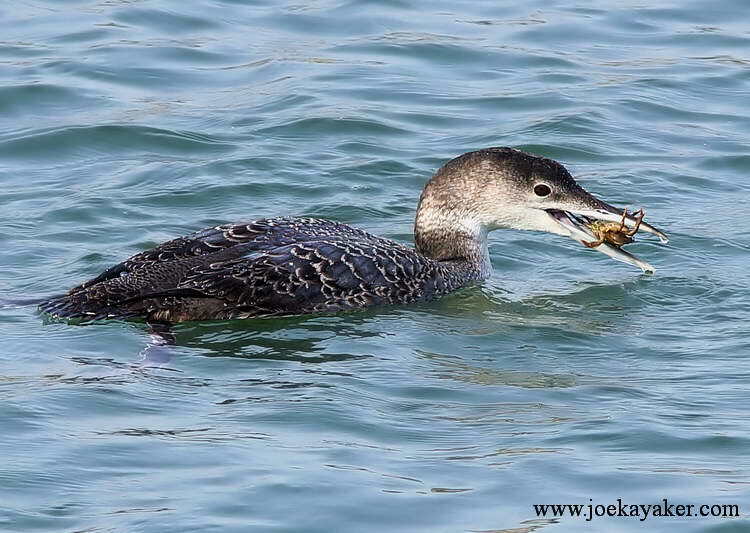 The Loon would come back to the surface, shake the crab free of any sand and grit and then, gulp, it was gone. The crab, not the Loon.